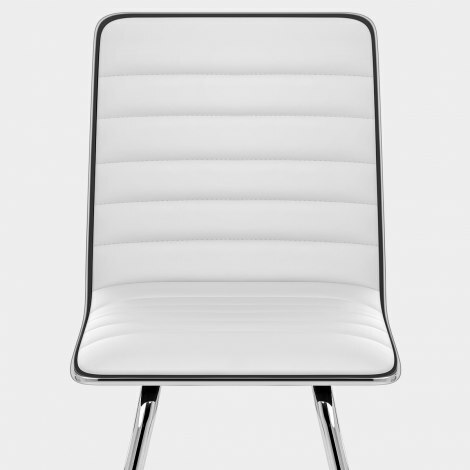 With a contemporary cosmic chic, the Vesta Dining Chair White exhibits sky-high style and understated beauty. With true star quality that is bold and brilliant, the Vesta Dining Chair will bring a cool crisp radiance to any interior setting, in the dining room and beyond. Comfortably padded, the supportive seat and backrest are upholstered in celestial white faux leather, all inlaid with fashionable horizontal stitching as an attractive addition. 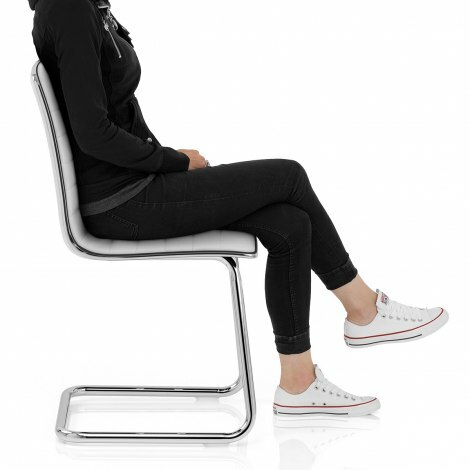 Polished chrome edges the seat, complementing the modern chrome cantilever frame for a sleek minimalist ambience. Plus there are protective plugs beneath to help minimise marking to floors. "Looks and feels like a more expensive chair"
Four simple bolts put into the base with an Allen key and voila. Beautiful chair for a very good price. Quick delivery and well packaged. This I was not my first order with Atlantic and again we are delighted. The delivery perfect as we needed them urgently and they are exactly as hoped. We would not hesitate in contacting them again for future requirements. Cannot rate these chairs highly enough well made good price would definitely buy again went well with my new kitchen table. I bought 6 of these white dining chairs as the reviews were so good and I wasn’t disappointed they look great and look way more expensive than they were, had a slight problem with delivery 100% the fault of DPD and Atlantic quickly resolved this and refunded my delivery charge. Customer services amazing great product and great company can’t recommend enough. Excellent price, delivered on time, easy to assemble and just what we wanted.